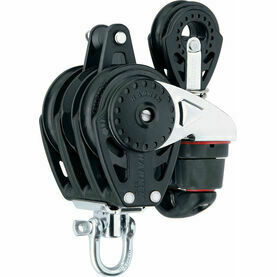 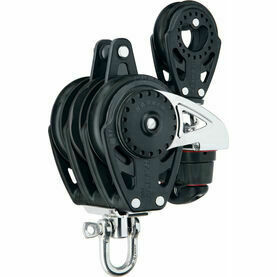 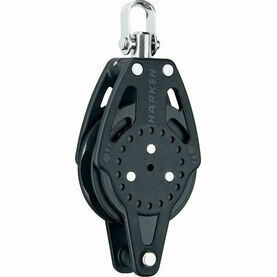 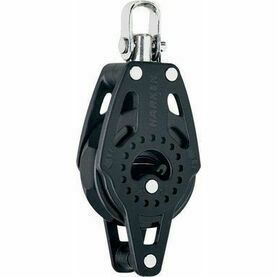 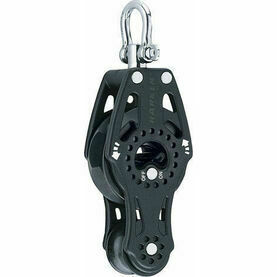 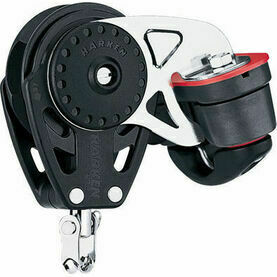 Designed with precise on/off control using accessible, easy-to-operate switches, this 75mm Switchable Ratchet Swivel Block from Harken allows sailors to hand-hold loaded lines, and offer balance between holding power and controlled easing. 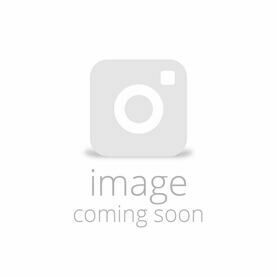 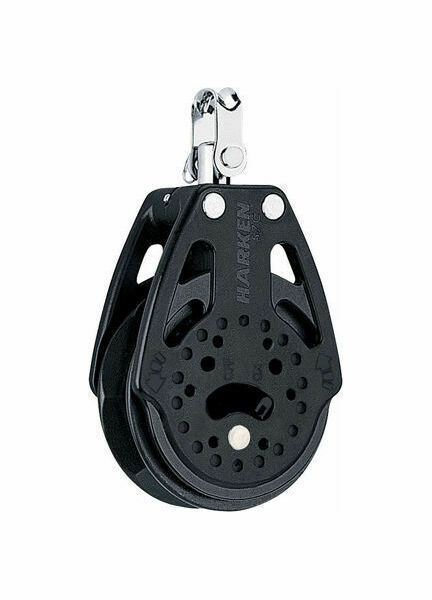 This boat block has been manufactured with lightweight nylon resin sideplates, which have been densely packed with long glass fibres for a compact shape and high strength-to-weight ratio. 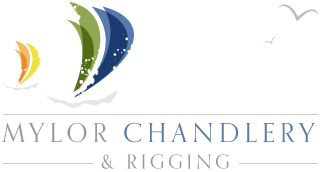 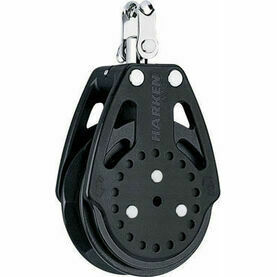 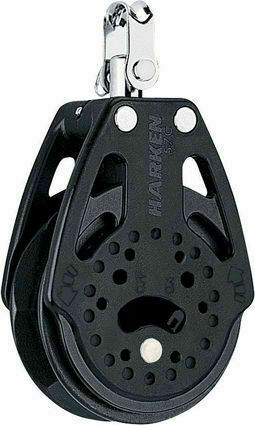 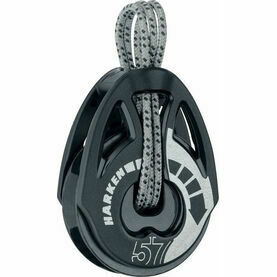 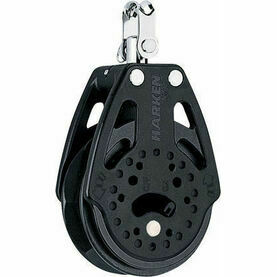 Throw in the added machined aluminum sheaves (which are hardcoat anodized for corrosion resistance), and you have the ideal companion to Harken's popular Black Magic line.